Mr. Festus Izevbizua is a skilled Financial Services Professional with over 24 years’ experience in Banking, Operational Risk management, Oil & Gas Accounting, Tax Matters and International Finance. 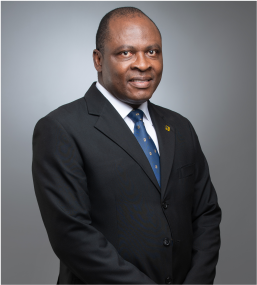 A distinguished Fellow of the Institute of Chartered Accountants of Nigeria (ICAN) and Associate Member of the Nigerian Institute of Management, Mr. Izevbizua holds a bachelor’s degree in Economics and an M.Sc in Finance. He is also an Alumnus of Colombia Business School, New York and a Fellow of the Institute of Credit Administration (ICA). He joined FBNInsurance as the Chief Financial Officer in August 2014 having spent over six years as Financial Controller in Standard Chartered Bank Nigeria Limited.